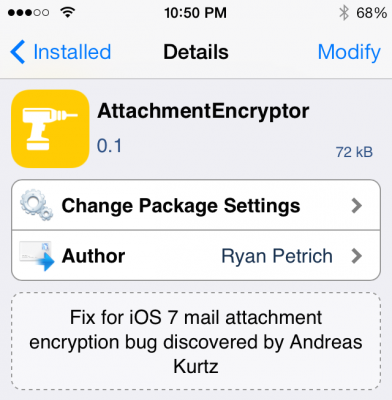 Another important announcement is also targeted at the jailbroken iPhone users. 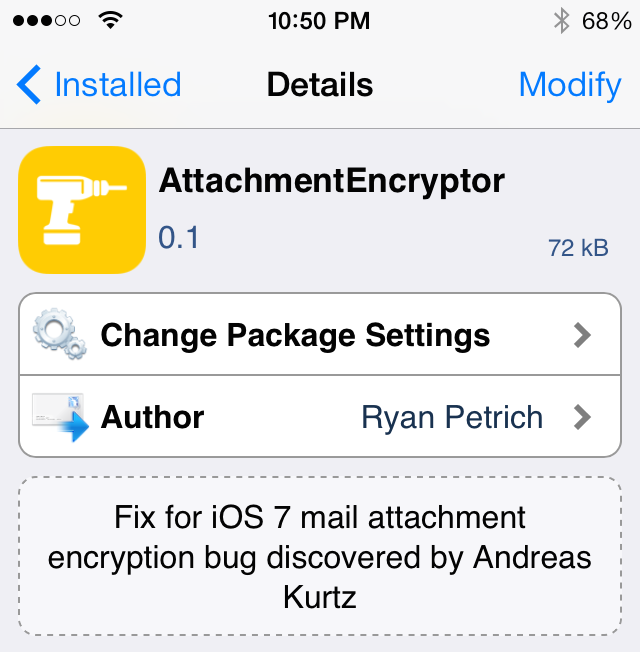 If you want to save your jailbreak, do not update to iOS 8 as currently there’s no evidence that it is jailbreakable. 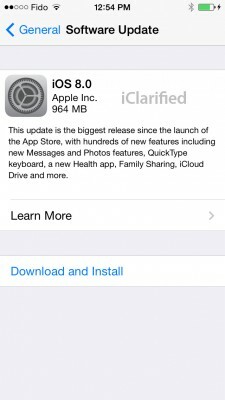 Moreover, as it was mentioned above, you won’t be able to restore or downgrade your smartphone to the earlier version of iOS. If your device works fine, keep using iOS 7. 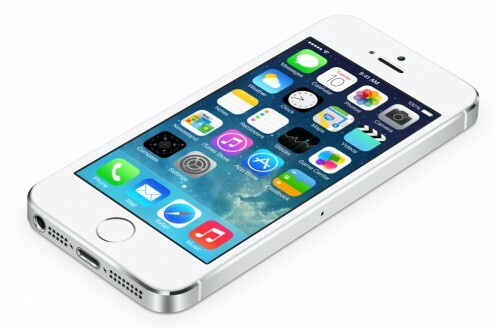 Those who have an iPhone running iOS 7.1.2 or lower can use two utilities for jailbreak, namely, Pangu or evasi0n. 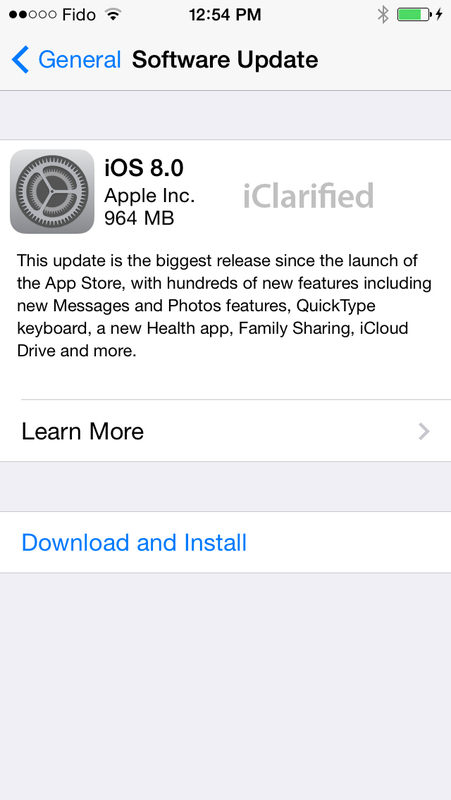 Whether these tools will be compatible with iOS 8 is still a question without an answer. Stay tuned for more news about iOS 8 and jailbreak. Following Winocm, who has recently posted a video showing the iOS 7.1 untethered jailbreak on iPhone 4, another hacker – iH8Sn0w – on Wednesday confirmed the successful jailbreak of his iPhone 4s running the same Apple’s iOS 7.1. 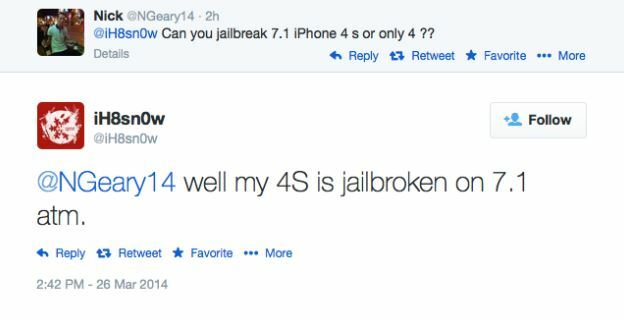 NGeary14: @iH8sn0w Can you jailbreak 7.1 iPhone 4s or only 4 ?? iH8Sn0w: @NGeary14 well my 4S is jailbroken on 7.1 atm. Looks like it is possible to jailbreak any iOS device equipped with an Apple A4 or Apple A5 processor. As to the other iPhones and iPads, there’s no information yet. iH8Sn0w claims that there won’t be any public jailbreak, at least now. That is why I recommend you to stay away from iOS 7.1. Especially if you have an iPhone 5/5c with Apple A6 CPU or iPhone 5s with Apple A7 CPU on board. As you probably know, a few days ago iH8sn0w, winocm and SquiffyPwn have released an untethered jailbreak for smartphones and tablets running iOS 6.1.3 – 6.1.5 – p0sixspwn. At first it was available only for Mac users, however, things have changed. Yes, you’ve got that right, p0sixspwn (version 1.0.4) for Windows is finally out. At the same time, the new version of the jailbreak utility for Mac – 1.0.3 – is coming soon. If you have any problems with 1.0.2, it is recommended that you update to 1.0.3 since it is more stable. Don’t forget to make a backup before jailbreaking your device and remember you hack your smartphone or tablet at your own risk. One can download p0sixspwn for both Mac (version 1.0.2) and Windows (version 1.0.4) here. iPad USB Camera Connection Kit is much more useful as it seems. Max Sha, an experienced user, was able to access external hard drive with this kit. All you need is a jailbroken iPad, an external drive, a split-USB cable to give the drive some power and a terminal of some sort (f.e. MacBook) to mount the external storage. While it is a little unwieldy, it shows that Terabytes of external storage for iPad is possible. 1. Have an external hard drive formatted to either HFS or FAT32. NOTE: All data will be erased! 2. Perform the Spirit Jailbreak. 4. As well, install the “Nano” terminal text edit from Cydia. 5. For this particular example Max used GoodReader app for iPad ($0.99). Now you can begin the process of mounting your hard drive. You will need external power for the drive. If you have an external drive with power (one that has a USB port and an external power supply) you won’t need to worry about this. If you have external drive with just an USB cord you will need a split USB cord. 1. Open “Settings” on your iPad to find your IP address (make sure you’re on the same network as your iPad). 2. Open Terminal, on your Mac (/Applications/Utilities/Terminal.app). On Windows you can use Putty. nano /var/stash/Applications.xxxxxx/iFile.app/Info.plist (“xxxxxx” is a series of numbers after “Applications”. If you type “/var/stash/Applications” and hit the “Tab” key, it will fill in the rest for you). 6. Then hit “Ctrl+x”. Followed by “Y”, and then “Enter”. This will save the changes that you made. 7. Now, reboot your iPad. You will notice that your SSH connection will have closed, in Terminal. Re-open terminal, when the iPad reboots, and follow steps 1-3 (without reseting the passwords again). 8. Open iFile, and go into the settings. It is recommended to have the settings set as shown below. The most important is enabling “Application Names”. Hit “Done”. Close out of iFile by hitting the Home button. Restart iFile. 9. In iFile, navigate to “/Volumes/”. Then, select the “Edit” button, in the top right. 10. Check the circle next to the “EXT” folder you created in “Step 4″. 11. Click the “Box with an arrow”, in the bottom right. In the dialogue box that opens, select “Copy/Link”. 12. In iFile, Navigate to “var/mobile/Applications/”. You should now see the names of applications above the actual folder names. Navigate to the “GoodReader” folder, then the “Documents” folder. 13. Click the “Edit” button again. And then click the “Box with an arrow”, in the bottom right. Click the “Create Link” button. You should now see the “EXT” folder. Hit “Done” in the upper right. 14. Now, connect your iPad Camera Connection Kit. 15. Take your hard drive and plug the secondary port into a power supply (in this case, Macbook Pro). Then, plug the main USB port into the iPad. You may see a message similar to “Insufficient power to mount this drive” error message on the iPad. With an external power supply, it should be much more convenient. NOTE: You MUST plug in the external power supply first, or else the iPad will not mount the drive. What you’re looking for here is the file “disk1s1″. If that does not show up, try steps 15-16 again. If you see “disk1s1″, proceed to step 17. 18. You are now good to go! You can now access the files in either iFile, or GoodReader. As an example of how to manipulate the files, watch the video below. Many thanks to Max Sha! Perceptive Development developed a hardware and software solution that allows infrared keyboards to be used for typing on the iPhone, using less than $20 of electronics. They have managed to get an external keyboard working via a custom connection built for the headphone jack. Headphone jack in/out hardware is one of the few interfaces that’s open in the official SDK. They have built a microcontroller that converts input from an external Targus IR keyboard into a format the iPhone’s headphone jack can understand, which is then fed to a terminal app that doesn’t require jailbreak. Nice!